--. New York Times. Image published in calendar of Connecticut Metropolitan Section. October 26, 2014. pg 9. Dunne, Susan. "SCSU Teacher Exhibits 'Delicious, Disgusting' Paintings" Hartford Courant. October 14, 2014. Brownell, Mia. Post Road Magazine. Issue 26. Kerry, John (Secretary of State) and Hart, Clifford (Consul General). Art in Embassies, Hong Kong. 2015 Pgs 6-9. Gouveia, Georgette. "It's complicated" The WAG Magazine. August 1, 2011. Wanucha, Genevieve. "Raw Art: Mia Brownell and the American Dyspepsia", February 19, 2010. Spoor, Nathan. "Mia Brownell:Skeptical Realism" Hi-Fructose Magazine Volume 13. Pages 16-17 and 30-33. Doherty, Donna. “Art with a Twist.” New Haven Register, November 25, 2007. Featured. McQuid, Cate. “ Still lifes with a modern twist.” Boston Globe, Arts & Reviews, June 14, 2007. Brownell, Mia. “Mia Brownell”, Issues in Science and Technology, (University of Texas, Dallas. Kevin Finneran, Editor). Summer 2007 Issue. Chao, Albert. “Fantasy in Realism.” Art Voice, November 29, 2006. Brownell, Mia. 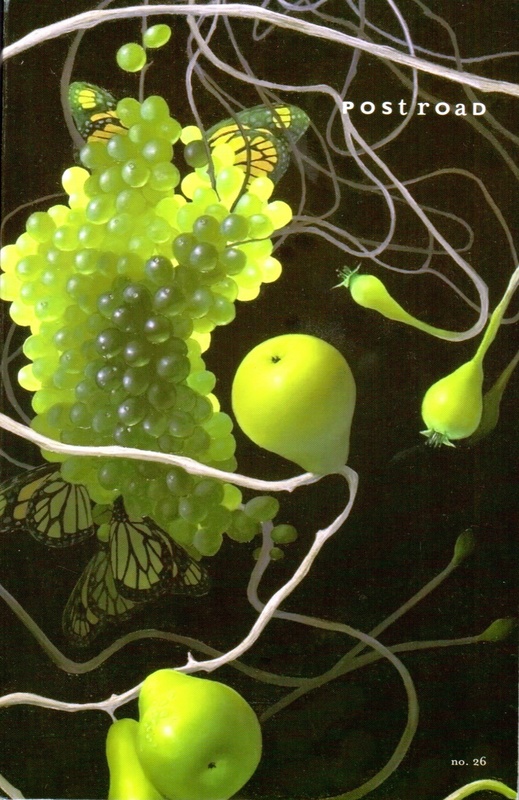 “Complexities of the Garden”, Gastronomica: Journal of Food and Culture, (University of California Press. Darra Goldstein, Editor) Summer 2006, 24-29. Gouveia, Georgette. “Young & The Restless.” The Journal News, Life & Style, June 23, 2006, Cover, 8-9. Genocchio, Benjamin. “Indoor Freshness to Rival Gardens.” The New York Times, WE Arts & Entertainment, April 23, 2006. --- . “Brownell’s Life Anything But Still.” Southern Life, October 2005, 5. Hoffman, Hank. “Mia Brownell; You Art What You Eat”, New Haven Advocate, October 2001,18-24.